The Tibetan Task Force on Negotiations meeting began its 26th meeting, during which it focused primarily on the recent developments in Tibet and China. To review and discuss the ongoing developments in Tibet and China, the Tibetan Task Force on Negotiation on Thursday begins its 26th meeting at the headquarters of the Central Tibetan Administration in Gangchen Kyishong, Dharamshala, India. His Holiness The 14th Dalai lama handed over political responsibilities in 2011 to a democratically elected leadership in exile. His Holiness remains the spiritual leader of Tibet and the Tibetan people. Sikyong Dr Sangay has unequivocally and consistently stated that the Tibetan side is ready to engage in meaningful dialogue with the new Chinese leadership anywhere and at anytime, adding that he considers the substance primary and the process secondary. "We firmly believe that the middle-way approach is the only way, as the basis for negotiations, to peacefully resolve the issue of Tibet," said Sikyong Dr Sangay this week, when thousands of Tibetans across the world celebrated their 53d Democracy Day in exile. At the same day, he had said CTA hopes that the "Chinese leadership will take note of the merits of this approach and resolve the Tibet issue, so that we can end the suffering of Tibetans living in Tibet." This is the 26th Task Force meeting since its inception and 4th meeting since Sikyong Dr. Lobsang Sangay took leadership charge of the Central Tibetan Administration. Earlier three meetings were held in October 2011, June 2012 and January 2013. 'During the course of three-day meeting, members will discuss and review overall prevailing situation inside Tibet and the prospects of dialogue process,' according to the CTA. The Task Force has appointed six new members; including former Kalon Tripa Prof Samdhong Rinpoche, Kasur Lobsang Nyandak, Mr Tashi Phuntsok, Secretary of DIIR, Chisur Sonam Tsering Frasi, Mr Phagpa Tsering, Deputy Director TPI and Mr Kunga Tashi, Chinese Liaison Officer, Office of Tibet, New York. Other top officials present at the ongoing meeting include former Special Envoy Kasur Lodi Gyari, Kalon Dongchung Ngodup, Kalon Dicki Chhoyang and former Envoy Kelsang Gyaltsen. The last round of talks between the Envoys of His Holiness the Dalai Lama and representatives from the Chinese United Front Work Department was held almost three years ago in January 2010. Since then, China has several times refused to meet Tibetan representatives. 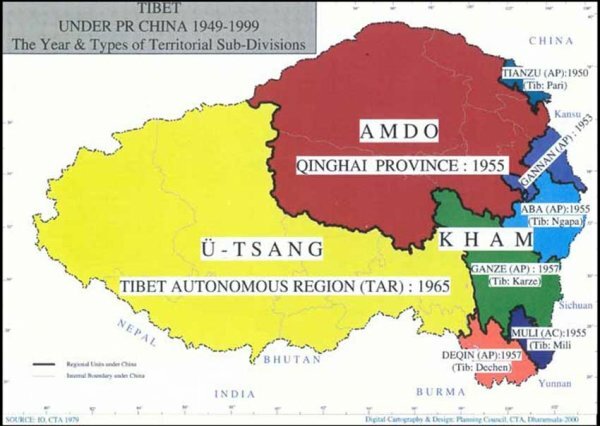 During the seventh round of talks in Beijing on 1 and 2 July 2008, the Tibetan side has presented to the Chinese leadership a Memorandum and Note seeking genuine autonomy for Tibet as enshrined in the Chinese constitution and Law on Regional National Autonomy. Just after the ninth round of talks which was held in 2010, special Envoy, Lodi Gyaltsen Gyari called the discussions "one of the most difficult sessions, due to some other factors, I do not see any prospect for an early resumption, at least under my watch. However, having spent decades on this effort, I still do ..."
The "Memorandum", described by the Dalai Lama side as "in accordance with China's Constitution and laws", was full of contradictions with the Constitution and laws, said an article published by the state controlled news agency Xinhua, on November 21, 2008. The Task Force on Sino-Tibetan Negotiation was constituted to help recommend policy matters and strategies to find a peaceful and mutually acceptable negotiated resolution to the issue of Tibet. It was set up in 1999 to assist His Holiness the Dalai Lama's envoys in the dialogue process with the Government of the People's Republic of China.